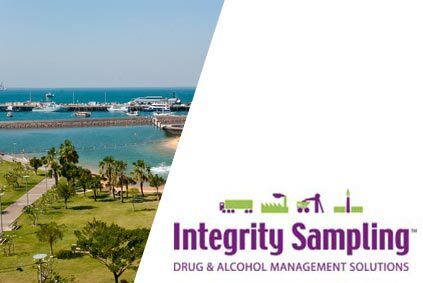 If you’re a business in Darwin looking for drug and alcohol management services, including drug testing and alcohol testing, Integrity Sampling is your business of choice. We offer a one-stop drug and alcohol management service, including drug and alcohol education, development of policies and procedures, drug testing and alcohol testing. Workplace drug and alcohol management is Integrity Sampling sole business and has been since 2001. We’re specialists at what we do and have immeasurable experience in drug testing, alcohol testing, and drug and alcohol management. Our accredited and trained technicians use the best and most effective equipment available. This includes the Drager Drug Test 5000 unit, used for drug testing by many police forces around the world. Our drug testing and alcohol testing services include pre-employment testing, drug and alcohol testing of an employee who is suspected of being under the influence, testing following a workplace incident and random drug and alcohol testing. We also provide 24/7 emergency call out for our testing. To contact Integrity Sampling in Darwin, and discuss your drug and alcohol testing needs, phone 1300 SALIVA or go to our contact page and submit a form.